Below you fill find all funeral homes and cemeteries in or near Spokane Valley. Suburbs of Spokane Valley: Spokane Vly, City of Spokane Valley, Cty Spok Val, Liberty Lake, Manito, Millwood, Spo Valley. Spokane Valley is also known as: The Valley. Their current mayor is Mayor Tom Towey. Zip codes in the city: 99016, 99027, 99037, 99206, 99211, 99212, 99213, 99214, 99215, 99216, 99223.
from one of the local funeral shops we partner with. Some of the notable people born here have been: (angie bjorklund). Spokane Valley is a city in Spokane County, Washington, United States. It is located east of Spokane, west of Coeur d'Alene, Idaho and surrounds the town of Millwood on three sides. The city incorporated as the City of Spokane Valley on March 31, 2003. The Washington State Office of Financial Management estimates the city’s population as 92,050 as of April, 2014. Spokane Valley is named after the valley of the Spokane River, in which it is located. 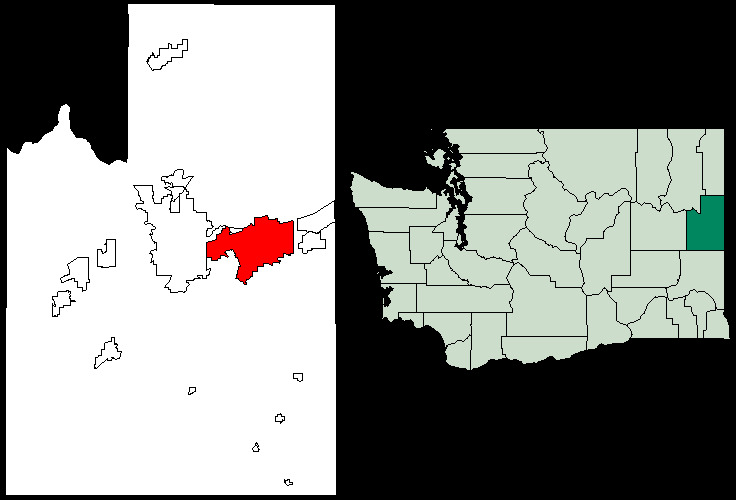 Before becoming an incorporated city, the area was and still is referred to as "The Valley" by residents of the Spokane Metro Area. It was revealed by Ellensburg Daily Record on January 7th, 2019 that Eleanor K Hart died in Spokane Valley, Washington. Hart was 89 years old. Send flowers to express your sympathy and honor Eleanor K's life. It was disclosed on November 1st, 2018 that Harold L "Hal" Hartley passed away in Spokane Valley, Washington. Hartley was 86 years old. Send flowers to share your condolences and honor Harold L "Hal"'s life. It was revealed by The Herald on August 24th, 2018 that Charlotte E Withington (Umberfield) died in Spokane Valley, Washington. Ms. Withington was 95 years old and was born in New Haven, CT. Send flowers to express your sympathy and honor Charlotte E's life. It was written on July 16th, 2018 that Alfreda Joan "Freda" Ham (Komoff) perished in Spokane Valley, Washington. Ms. Ham was 79 years old and was born in Detroit, MI. Send flowers to express your sorrow and honor Alfreda Joan "Freda"'s life. It was noted by The Independent on March 7th, 2018 that Mike Craig Lind perished in Spokane Valley, Washington. Lind was 69 years old. Send flowers to express your sympathy and honor Mike Craig's life. It was reported by The News Tribune on December 22nd, 2017 that Mary Jo Bucholz died in Spokane Valley, Washington. Bucholz was 81 years old. Send flowers to express your sympathy and honor Mary Jo's life. It was noted by Tri-City Herald on June 25th, 2017 that Robert E Lightley passed on in Spokane Valley, Washington. Lightley was 92 years old and was born in Portland, OR. Send flowers to share your condolences and honor Robert E's life. It was revealed by Tri-City Herald on June 18th, 2017 that Richard Lee German perished in Spokane Valley, Washington. German was 74 years old. Send flowers to express your sympathy and honor Richard Lee's life. It was reported by Tri-City Herald on June 16th, 2017 that Rozanne Gilkey (Bassett) passed on in Spokane Valley, Washington. Ms. Gilkey was 91 years old and was born in St Paul, MN. Send flowers to express your sympathy and honor Rozanne's life. It was written by Tri-City Herald on June 11th, 2017 that Ronald Joseph Mertens perished in Spokane Valley, Washington. Mertens was 65 years old. Send flowers to express your sorrow and honor Ronald Joseph's life. The official website for the city of Spokane Valley is http://www.spokanevalley.org/. Yakima and Spokane. While living in Spokane ... 1122 Diagonal St., Clarkston, WA 99403, or to the local P.E.O., c/o Merchant Funeral Home, P.O. Box 107, Clarkston, WA 99403. Here are the results for funeral homes in Spokane Valley Washington. You can find some of the best funeral homes businesses serving Spokane Valley. Listing all funeral homes in Spokane Valley, Washington so you can easily send flowers to any location (same day delivery) or find any funeral service. We work with local florists and flower shops to offer same day delivery. You will find budget sympathy flowers in Spokane Valley here. Our funeral flowers are cheap in price but not in value.